In ancient Greece the Sileni were companions of Dionysus, the god of good things - wine, vineyards and theatre. When there was something to be celebrated, the Sileni were always on hand to encourage enjoyment of delicious food, good wine and social interaction. And when celebrations were in short supply, you could trust the Sileni to invent a reason for fun. Such was their dedication to the joy of living. 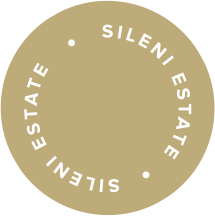 Discover your Sileni wine ? Find out the best Silent wine that matches your occasion, mood, food and flavours. Simply select your option from the drop-downs in gold to discover your match. Aromatic spice, blackcurrant and floral aromas, with ripe plum, spice and rich berry flavours. Smooth and velvety tannins and well balanced acidity. Serve with slow roast duck, rich tomato pasta or gourmet beef burgers. To purchase this wine directly from our Cellar Door please email cellar@sileni.co.nz or call +64 6 8794830.